Many business owners are fond of displaying figurines related to prosperity. We often spot these lucky charms in stores—placed on a shelf or hanging by the entrance to invite good sales. Here’s a rundown of common lucky charms seen in commercial establishments, and what each of them mean. Dragon Turtle Also known as the Chinese Dragon, this charm can harness the power of chi or good feng shui energy that attracts good luck. Aside from being a symbol of harmony and money, the Dragon Turtle is often given to those who are starting a new business. Many suggest displaying this symbol in the southeast section of your store or place of work to enhance luck and prosperity. Money Tree Available in various sizes, the Money Tree is another famous ornament that’s believed to bring business and financial luck. Many claim that it can also help increase one’s earnings and savings. Aside from placing it near the cash register, you may also display the money tree at the southeast corner of your office. The Laughing Buddha Seen in homes, restaurants, and various stores, the Laughing Buddha is one of the most commonly used good-luck symbols. Also known as the Buddha of Wealth, the Laughing Buddha brings abundance and happiness into the home and a place of business. If you plan to display one, don’t settle for a small statue; pick a big image so you can rub its tummy, as doing so is said to make your wishes come true. 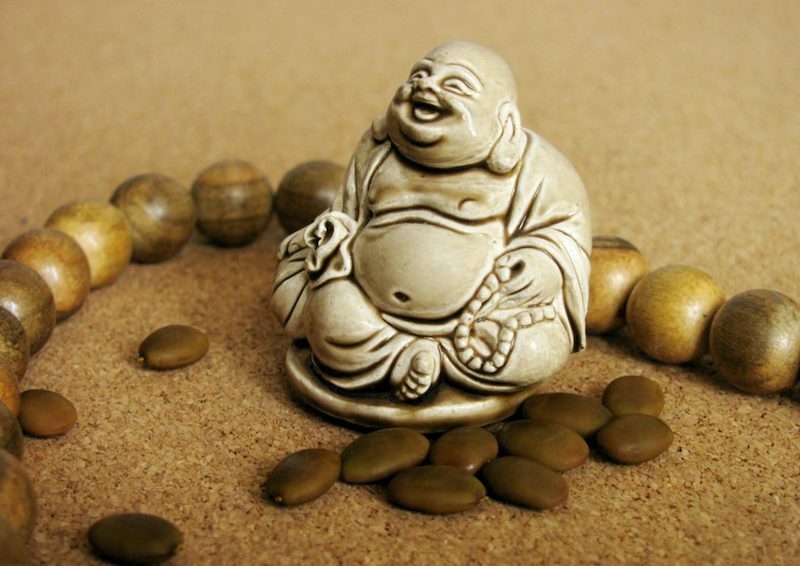 Place the Laughing Buddha on your office desk or in the southeast sector of your place of work to attract wealth. Fuk Money Bat A bringer of good fortune, the Fuk Money Bat is also said to invite happiness and wealth into a space. Since this figurine depicts the bat in flight, many say that it signifies money and luck “flying” into the store or any place of business. Wealthy Pig Charm Stores in Binondo are selling all kinds of pig charms signifying the Year of the Earth Pig, which starts on February 5. The Wealthy Pig Charm, a figurine that brings prosperity and wealth, can be seen perched on shelves and cabinets. 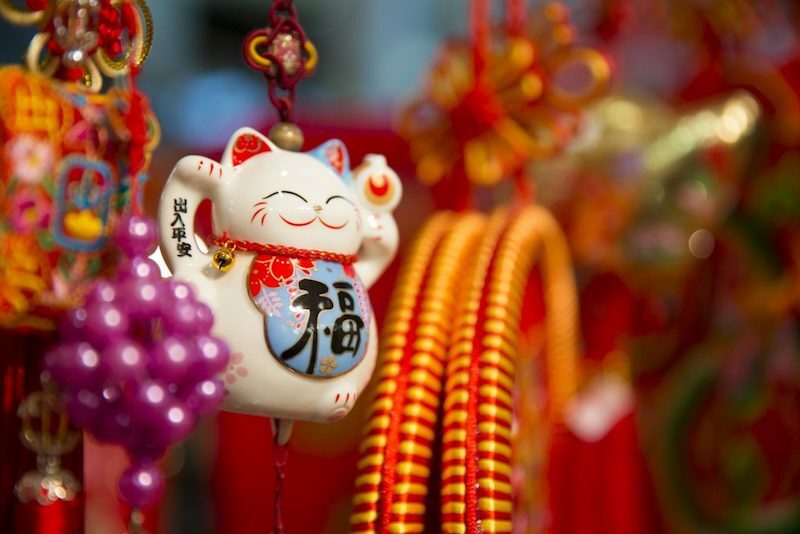 According to feng shui, this lucky charm for business must be placed in the wealth area of a store or any anywhere near the center of a space. Money Frog Similar to the charms listed here, the Money Frog can also attract wealth and good business. Available in gold or porcelain, many feng shui experts claim that the Money Frog is the most significant symbol of prosperity. The figurine depicts either a frog sitting on coins or one with a coin in his mouth. This is often displayed near the entrance and should be facing inward, never outward. Bagua Many hang the bagua above a door as it analyzes energy in a space. 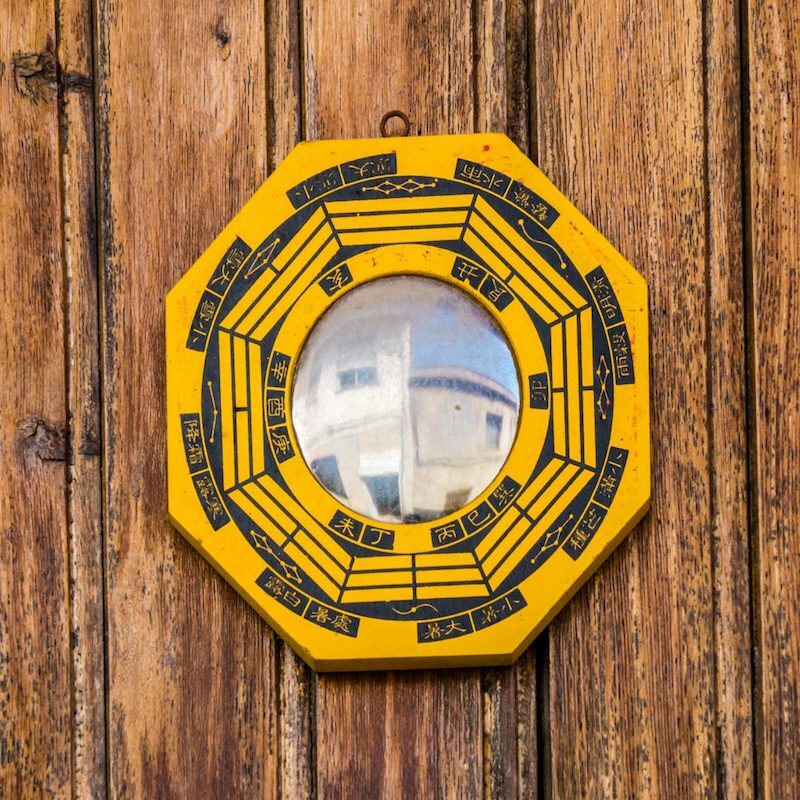 This feng shui item involves the 8 areas (hence the octagon shape) that are essential in one’s life, like health and family, wealth and abundance, and love and marriage, to name a few. Feng Shui Coin Sword Known to ward off negative energy, the Feng Shui Coin Sword is used for wealth, protection, and business. There are feng shui practitioners who display two coin swords that form an X on their doors to ward off envious and jealous neighbors. Lucky Cat Whether it’s a restaurant or a store selling different goods, you’ll surely spot this golden cat cheerfully waving at you. Known to bring prosperity, this feline figurine can be placed in any area where you want luck to come in. Many business owners prefer placing it near the entrance or the cashier. Incense Sticks Incense sticks are believed to drive away negative energy and evil spirits. 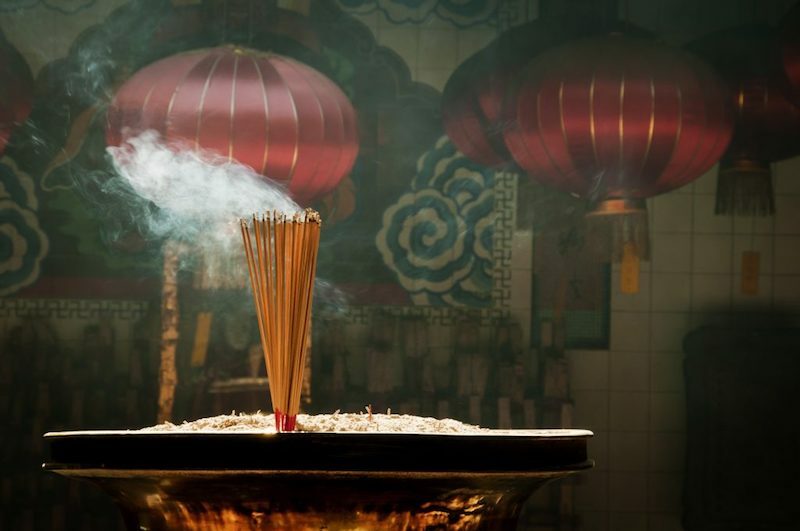 There are different kinds of incense depending on what you’re wishing for, but red ones are commonly used by many business owners to wish for business growth. While you can always buy two or three of these charms, remember not to completely depend on them when it comes to the success of your business. After all, nothing beats hard work and perseverance.